FXI, a large-cap focused fund, is a play on China's weakness; the small-cap focused HAO takes advantage of the nation's blossoming consumer class. NEW YORK ( TheStreet) -- As I mentioned on Tuesday, China is surpassing the EU as the dominant international force influencing global market sentiment so far in 2012. With this goliath emerging market growth engine struggling to maintain momentum, the outlook for some market-related sectors has become uncertain. For conservative investors, the best way to monitor the nation may be from the sidelines. With growth projections getting the axe and the government dedicated to keeping real estate prices low, the near-term action will be shaky. Aggressive individuals willing to stomach some risk, on the other hand, may be tempted to test the waters. As ratings agency Moody's ( MCO - Get Report) noted, in a new report, China is currently boasting a, "two speed economy." While challenges weigh across the nation, the firm recognizes that Chinese state-owned enterprises are holding up better than the smaller companies hailing from China's private sector. MarketWatch notes that SOEs' easier access to credit is helping to propel this outperformance. Due to their size and relationship with the nation's government, state-owned companies will likely continue to fare relatively well in the event that prospects for China's economic growth potential continue to weaken. Those willing to place a bet here may want to turn to these names. 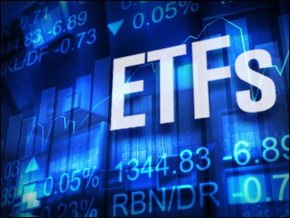 10 Dow Dogs That Are Barking for GainsThe simplest way to gain exposure to large, government-owned Chinese enterprises is through a large-cap focused ETF like the iShares FTSE China 25 Index Fund ( FXI - Get Report). This instrument is designed to provide investors with exposure to a collection of the largest and most influential names hailing from the Asian giant. Top holdings include China Mobile ( CHL, CNOOC ( CEO and China Telecom ( CHA - Get Report). At the top of the roster are three of the four commercial banks comprising China's "big four": Bank of China; Industrial and Commercial Bank of China; and China Construction Bank. On a year-to-date basis, FXI has managed to stay buoyed in positive territory, gaining more than 6%. However, the fund's performance has been trumped by the Guggenheim China Small-Cap Index ETF ( HAO - Get Report). This fund, which takes aim at smaller companies, has returned nearly 14% over this same period. As clouds have begun to gather, however, the strength of FXI's large-cap index has begun to shine through. During the choppy month of March, for instance, FXI managed to slightly outperform. During periods of strength, I typically encourage investors seeking exposure to China to turn to the small-cap HAO; the fund's focus on smaller names allows investors to take advantage of the nation's blossoming consumer class. However, if weakness persists and Moody's observations hold up, the outlook for FXI appears more optimistic. Bigger may look better when it comes to China, for now, but FXI is not without its challenges, either. On the contrary, in addition to a prolonged economic slowdown, interference on the part of China's government could be enough to stifle strength. This week, Chinese Premier Wen Jiabao hinted that such an intervention may be in the cards. In comments made to China National Radio, he noted that China's bank monopoly needs to be broken. The happenings taking place in China at this time are exciting to watch. However, with the nation's economic outlook mired in uncertainty, most investors will be best off on the sidelines. Aggressive individuals may be tempted to venture into a fund like FXI, but even here, exposure should be kept small and close to the chest. If weakness persists or intensifies, or if the government decides to take bold action toward SOEs, risk takers must be prepared to make necessary adjustments. Written by Don Dion in Williamstown, Mass. At the time of publication, Dion Money Management held no positions in equities mentioned.